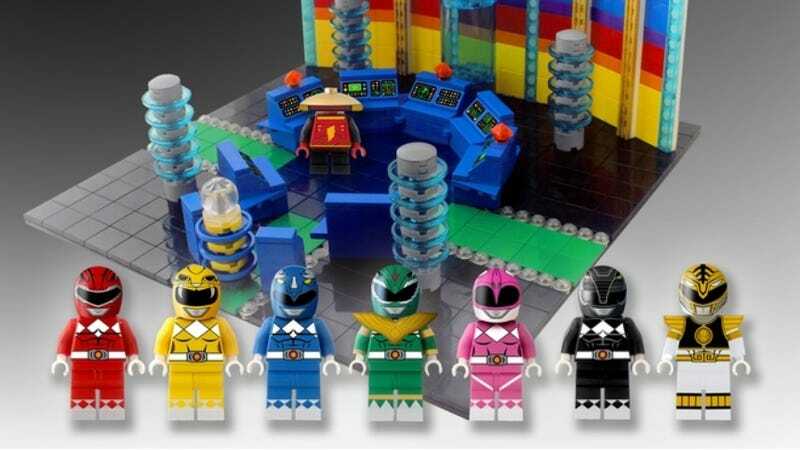 This latest proposed set for LEGO Ideas gives new meaning to the phrase “It’s Morphin’ Time.” Because, you know, they’re LEGOs. They morph a lot. User bruceywan created a LEGO Ideas set concept for Mighty Morphin Power Rangers. It features the original Rangers hanging out in Zordon’s Command Center with Alpha 5, ready to take on Rita Repulsa and save Angel Grove. In an author’s note, the creator said he decided to do Power Rangers as his first LEGO proposal because he grew up with the show, and he now has two sons who are diehard Rangers fans. This seems like a really awesome project for LEGO to take on. Given the fact that Power Rangers will be 25 years old in less than two years, and we’ve got a reboot film hitting theaters before then, this seems like a perfect time for LEGOs to bust out a set dedicated to the original heroes. Plus, the characters have removable helmets! The set has only been out for a few days and already has over 1,000 supporters. It needs to hit 10,000 in order to be considered by LEGO. Afterward, it can possibly be turned into an official LEGO product, with the creator getting royalties from sales.